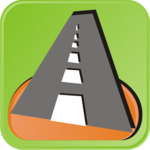 Speedcam: the world — Android App Listed on Flippa: Use this 6000/mo road app as a basis of your big startup. 1505 5 stars reviews! Use this 6000/mo road app as a basis of your big startup. 1505 5 stars reviews! For 1 dollar (according to rp) you get 750 speedcams, 16 new users annually, 5 current users and 5 subscribers.